a variety of water testing protocols. Part of many water monitoring operations is the regular gathering of field samples for analysis. 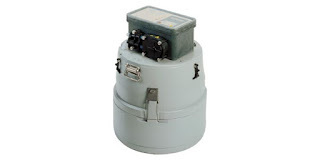 Teledyne Isco manufactures an array of water sampling equipment and supplies to meet the broad range of application requirements found in field operations. The Model 3700 is a portable sampler designed for use in water and wastewater treatment plants, stormwater runoff monitoring, and industrial wastewater applications. The construction and configuration of the unit accommodates the range of aggressive environmental conditions often found at water sampling sites. The portable water sampler is equipped with a controller, sampling system and storage bay, all integrated into a single unit that will gather water samples in accordance with a preprogrammed schedule and hold them until the unit is retrieved at the end of its cycle. More detailed information is provided in the datasheet included below. Share your water quality monitoring and measurement challenges with application specialists, leveraging your own knowledge and experience with their product application expertise to develop an effective solution. Portable Water Sampler for Field Use from Instrument Specialties, Inc.